Photography of the 18th November 2012 in Barcelona. 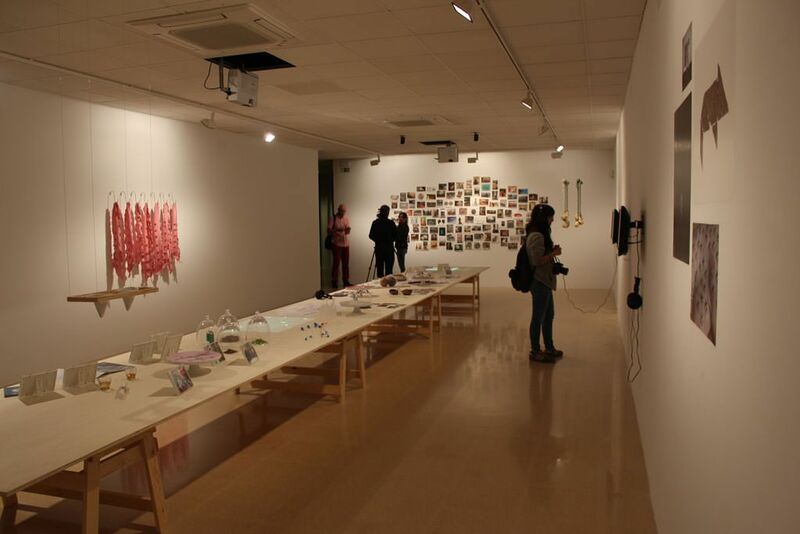 The exhibition gathers the work of the group La Comunidad and a number of works by Miralda. 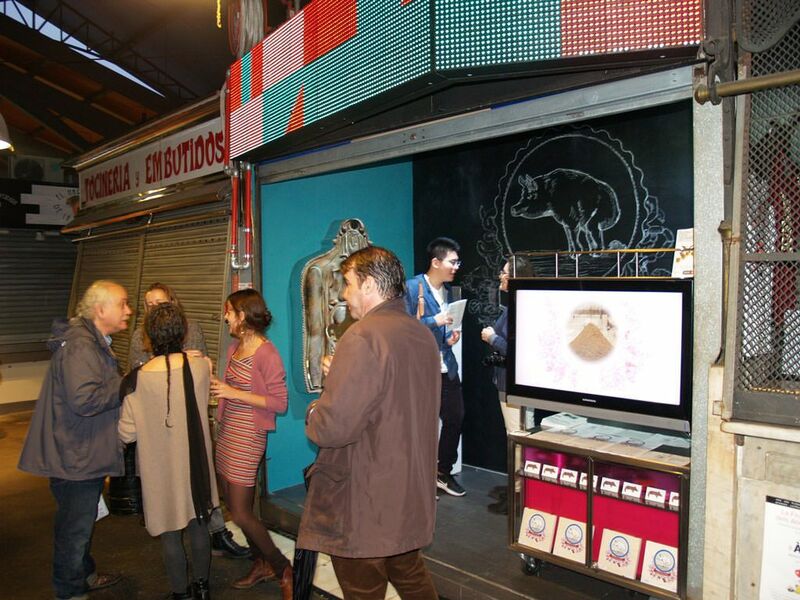 An exhibition which also connects ACVic and FoodCultura Satellite Boqueria. La Comunidad is a group of artists working occasionally in collaboration, and one of their projects in progress is Agravio comparativo. Each member of the group lives in a different place, and they met thanks to temporary residencies of research and production, in different contexts (for this project) where pig-rearing has taken on cultural, economic and/or social importance. Their interest in the collective and popular, in connection with a permeable and open methodology of experimentation, led them to let loose unconventional processes with unpredictable results. 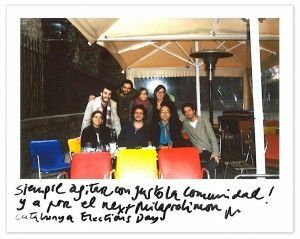 The group came together after a workshop by Miralda in the town of Blanca (Murcia, 2010), from which originated the necessity to expand upon the existential intensity of their common experience. Since then they have increased the number of their meetings, seeking opportunities for generating spaces for collective work. They interact with the context, and are open to the discovery of hidden elements which will allow them to expand their search into multiple formats, in response to experience and experimentation. In mid-March, they began a residency in Vic, and now the results of this research are to be presented. 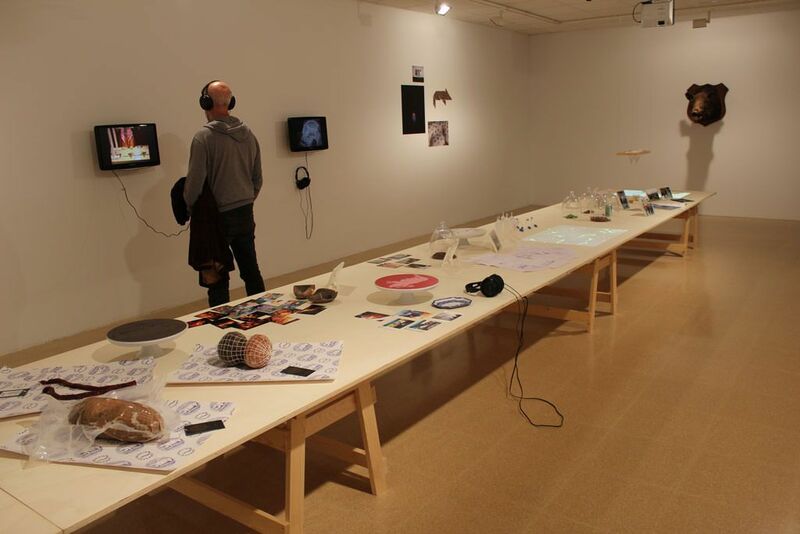 The exhibition includes the results from the Agravio comparativo project from different parts of Spain in which this methodology has been deployed, and from which they collected multidimensional responses by processing and interpreting soundings gathered from each meeting point. The project realised in Vic, Ronda de Posició, has been added to the Agravio comparativo chain of projects. In this case, they have developed a product out of pig excrement. If it is true that you can take advantage of the whole pig, why not investigate new pork products? And this is what they have done, converting the product into an ironic wink to an environmental problem affecting a region in which the density of pig population is above the average. They never found a definitive solution to pig slurry pollution, although this was beside the point. In this case, they worked with pig dung, and the resulting product is to be found in the stall 437 of La Boqueria, the FoodCultura Satellite Boqueria. Miralda is an artist who has explored consistently the complex relationship between ritual, food and culture, mixing participation, rites, celebration and humour, often deployed through collective action. FoodCultura is a concept developed by him in the late sixties, which has later become, with the collaboration of Montse Guillen, an expanded project, exploring many options of formalisation and activation. With this project, they have accumulated an enormous speculative and anthropological body of work upon the relationship between cultural diversity and food. The concept FoodCultura explores issues relevant to social identity, rituals and forms (some universal, others indigenous), processes of cultural fusion (with tensions between the preservation and subversion of traditions) and alternative and contemporary trends in relation to the production, the preparation and the consumption of food. In 1996 Miralda created the FoodCultura Museum, as a compilation of various elements regarding world culinary cultures, activating and reorganising these elements, creating a dialogue between them, creating new meanings and new interpretative senses. FoodCultura today collaborates with a network of partners interested in local customs, cultural experiences, food and contemporary art, and has a dedicated space, FoodCultura Satellite Boqueria, one of the stalls in the Boqueria market, functioning not as a means of trading in goods, but rather in order to introduce a space for contemporary creation in an everyday context, a space from which to generate disruptions between food culture and the contemporary culture which interferes with food. 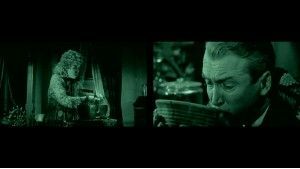 Stuffing and digesting refers to a way of talking about the cultural constructions which are built around food, and it is also a way of talking about processes. Stuffing is a production process which aims to preserve a product for eating later. Digesting is the process of processing food. To stuff can also mean to eat. Ingestion and digestion are two processes related to the digestive system, but which may also be extrapolated to the functions of the social apparatus. Excrement is part of this process. 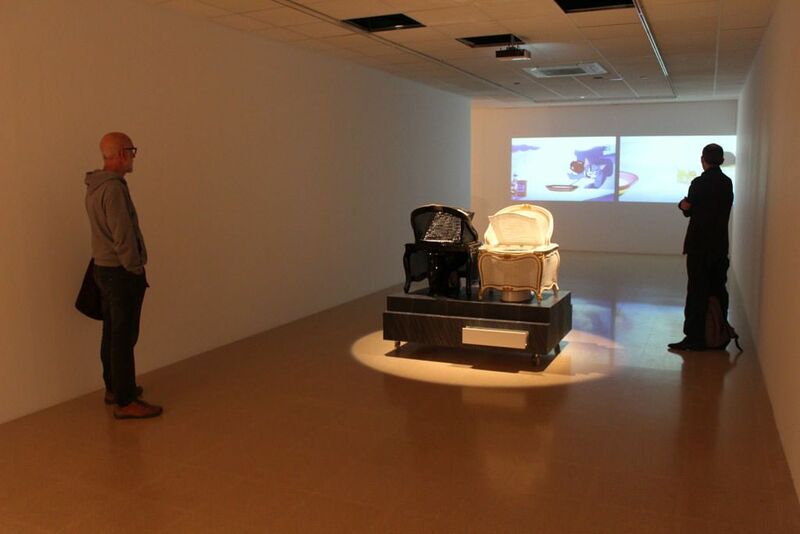 Transposing the individual and social, is also a subject of this exhibition. La Comunidad is a group of artists living in different geographical locations, who gather together to perform works in exile: visiting places which, in most cases, are nowhere near any of them, places which they do not know, and perhaps this is precisely why they are offered the materials to develop their own way of doing things. Cocktail of irreverence, simplicity, precariousness and fascination with popular culture, their strategy is to pay attention to the conventions, customs and beliefs of the contexts they visit, in order to raise them to absurd heights, and so create new meanings for them. La Comunidad has no radical critique. Their gesture is, rather, to examine customs precisely in order to pervert them. More than this: let us look at these customs so as to admire them; as they say themselves, so as to reclaim the rites which have been kidnapped by normality (and the norm). Agravio comparativo is presented as an "extensible, generative and long-term development project, focused on the disturbing porcine rituals in Spain, and its parallels with the religious imaginary" (1). It is not a single work, but an unpremeditated tour of actions with one thing in common; the pig, or, to put it another way, an attitude towards the pig. With these serial interventions, characterised by their thorough immersion in those places which they explore, they increasingly manifest their unveiled act towards the customs, between respect and laughter, criticism and admiration. Their most recent intervention, produced from the residence in ACVic, brings their attitude a step closer to that of Diogenes. La Comunidad proposes to interpret literally the old saw, "You can use all the pig, even the way it walks" by also making use of its droppings. Why go to elaborate heights in production processes from meat, such as, for example, ham (which, some time ago, was already interpreted as Jabón ibérico de bellota), and not design processes for other derivative pig products, such as slurry? The materiality which serves as their point of departure jibes entirely with the question raised by Diogenes: where does value lie? Their most radical closeness to the philosopher is not to be found there anyway. Just as he preached by example and not the word, they preach by their attitude and not in their work. 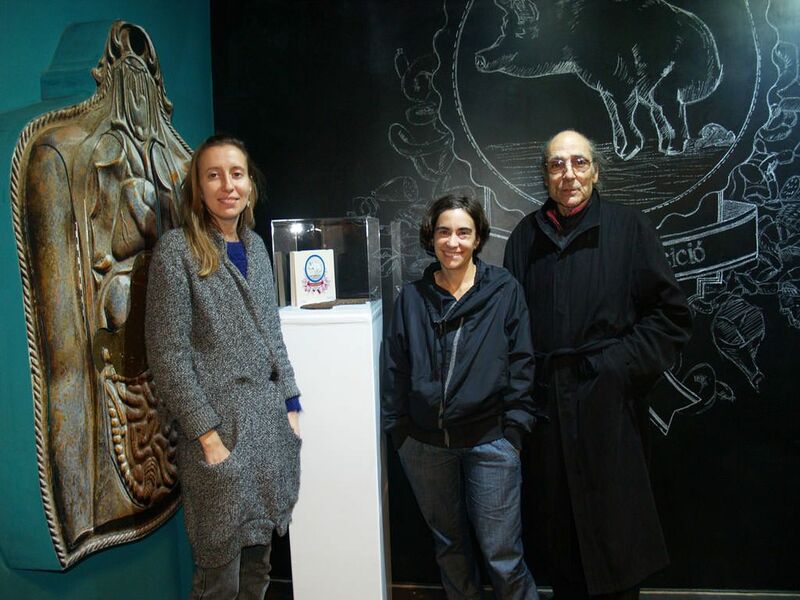 After investigating pig excrement wherever it may form a frequent topic of conversation, La Comunidad present their project without a resulting work. 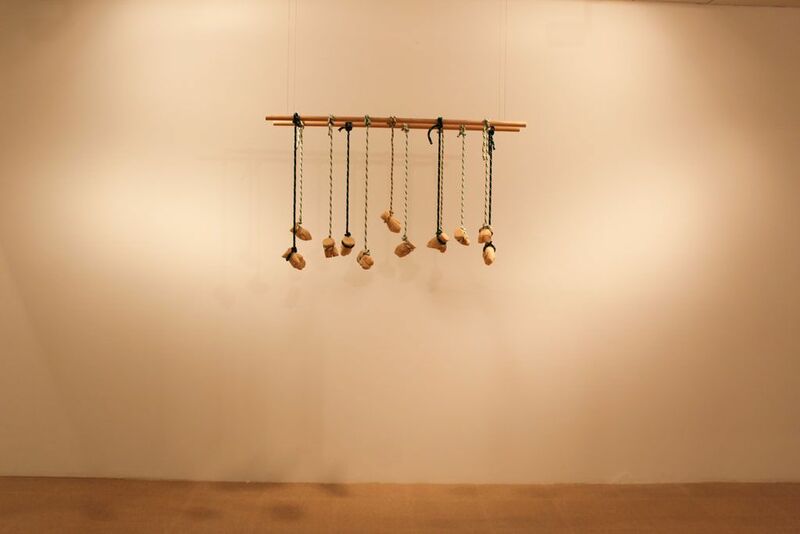 The resulting product of the residence, Ronda de Posició, is not in the exhibition hall (2).The fact that the work is not present allows the exhibition to focus, not upon it, but upon the ways in which artists face up to our customs, inviting us to consider them too. 1. Fragment included in the microproject "You can use all the pig, even the way it walks" presented at the art center ACVic. Materials supplied by La Comunidad for consultation. 2. In the showroom, the resulting artwork is referred to in images, as a trace, among others, of how the group performs its actions. And it is the action in Agravio Comparativo which suggested that they bring the excrement to a place where excrement is never spoken of. 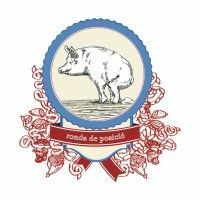 Ronda de posició will be exhibited simultaneously in the FoodCultura Satellite Boqueria, at the centre of one of the food culture cathedrals which gives the pig value.